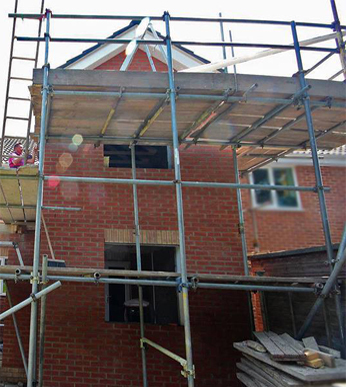 "We would like to take the opportunity, as we are nearing completion of our two-story extension and loft conversion, to thank you and your team for the for the excellent work you have done. In particular Steve and yourself have done a fantastic job keeping the work ticking over and providing an excellent quality of craftsmanship; the quality has been evident in all of the workmen you have used across plumbing, electrics, bathroom tiling, landscaping, building roofing and plastering. The neighbours and ourselves have all noticed the effort you have made in ensuring that you left the site in a tidy state at the close of your work each day and there have been several compliments for the work you have completed. It is worth highlighting the considerate nature of your work including offering advice and options for particular pieces of work, thoughtful ideas on how to complete some parts of the build and you being open to changes as the work progressed and as we got closer to getting a real understanding of what the final rooms and spaces would look like. For the size of job undertaken, I should also point out that the work is real value for money. We would be happy to recommend your work to anyone who desires to undertake similar projects, as we already have done on a number of occasions to date". Andy and Helen, Bradley Stoke.